Gold scaled fresh peaks and touched the $1,626,60 level on the offered side of spot overnight following yet another day of no resolution to the debt ceiling/ debt reduction political wrestling match taking place in the USA. However, after the US dollar stabilized somewhat at levels above the 73.50 mark and US Treasuries hung on to the gains they had achieved on Tuesday, the yellow metal retreated a bit and dealings were taking place mainly in the $1,615 to $1,620 zone ahead of the opening of the market in New York this morning. Spot metals dealings started the midweek session with a $2.50 per ounce gain in gold and a 6-cent rise in silver. The former was quoted at $1,622.40 per ounce and the latter at $40.97 as against a firmer greenback that was trading at 73.73 on the trade-weighted index. Crude oil fell 80 cents to the $98.79 level per barrel amid perceptions that the potential increase (to be reported later today) in US stockpiles cannot be conducive to a path towards the $120 mark that some commodity bulls had envisioned recently. The euro did not decline a whole lot however this morning; it was last seen still changing hands near the $1.444 mark against the US dollar. Something that did show a decline- and a sizeable one, at that- this morning, was the data related to US durable goods orders. The June figure for the aggregate demand for autos and aircraft sank by 2.1% according to the US Commerce Department. Economists, according to Marketwatch reports, did not anticipate such a drop. "Physical demand for gold remains largely absent, which underscores our belief that at current levels gold will continue to meet growing resistance. Consequently, we would not be surprised to see a pullback, especially once a deal is reached on the US deficit issue. As pointed out in our Commodities Strategy – Gold Physical Flow Update [dated 14 July 2011] we don’t discount the possibility of more gold scrap coming to market in the second half of this year. However, as August approaches, we believe the probability of more scrap coming to market decreases rapidly. Platinum climbed $10 at the opening and traded at $1,812.00 per ounce on the bid-side. Palladium advanced $5 to $838.00 per ounce. The noble metals have exhibited quite a bit of strength in recent trading sessions despite the potential economic implications of a US default. On the other hand, the labor strife in South Africa (which never seems to end) is seen as supporting the PGM team of metals. 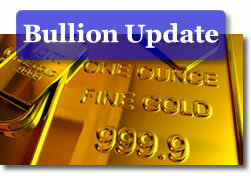 Rhodium showed no change this morning; the bid-side quote remained at $1,900.00 the ounce. The team of market analysts at Standard Bank notes that: "palladium garnered a lot of interest yesterday, swiftly gaining $27 to reach a five-month high. The metal has managed to hold on to most of these gains. For now investor confidence in palladium still seems fairly strong. However, as we mentioned on Monday we would be cautious, given the recent build-up in short speculative positions in palladium." Carmaker Nissan’s profit fell 20% in the second quarter of the year; a strong yen and the Sendai quake were blamed for the results, which still exceeded analysts’ expectations. Meanwhile, automaker Daimler raised its 2011 sales target by 50,000 units as against BMW’s projected 100,000 unit sales target. Daimler, the world’s third largest manufacturer of luxury cars is having a bit of trouble in keeping up with its rivals BMW and Audi when it comes to sales growth. Some of the problem is simply its ability to keep up with demand growth in certain booming markets (China, for example). There appears to be -– despite remaining angst on the issues of the US debt — a growing sense among sensible market participants that a) the world’s largest debtor will not default next Tuesday, and that b) the holders of its already issued debt have little in the way of alternative places to put their money and they also do no have the luxury of somehow dumping that which they already hold. As of this morning, the congressional vote on Speaker Boehner’s debt reduction plan has been pushed back to tomorrow’s session. Mr. Boehner, in the interim, was presumably hard at work trying to re-write the document as the Congressional Budget Office found it to be short of its advertised savings of $1.2 trillion by at least $350 billion and rejected it. Mr. Obama has already said he would veto whatever lands on his desk from Mr. Boehner’s office and has opted to back Senator Reid’s proposal. Mr. Reid’s $2.7 trillion debt shrinkage plan does not include tax increases despite indications that nearly 60% of Americans want a mix of tax hikes/ spending cuts to be integral in such future budgets. It does however contain –in Mr. Reid’s own words- "everything Republicans have demanded, wrapped in a bow and delivered to their door." Albeit Mr. Reid’s plan also does not include the obviously necessary higher revenue component (read: higher taxes) to bring the country’s budget closer to being balanced, it does raise the debt limit sufficiently to keep the government functioning through 2013. The White House also let it be known yesterday that officials are working on "plan B" and that it is cognizant of the fact that the global economy cannot afford to endure the potential effects of a US default or debt downgrade. The mysterious plan B remains just that; a mystery. However, more than one source has hinted at the possibility that Mr. Obama will just say that he is fed up with the wrangling, that he will invoke the 14th amendments, and that he will hike the debt ceiling while daring the opposition: "So, sue me!" Now, wouldn’t that be something? Currency traders had their hands full (and some of them their pockets as well) overnight as the Aussie dollar traded at $1.10 and above against the US dollar; a level that was the highest since 1983 when it became first floated. The rise in the Australian currency was in large part attributed to the finding that the country’s inflation levels are advancing at a higher-than-anticipated pace (0.9% in Q2) and that such gains might prompt more tightening by the Reserve Bank. Today’s final spotlight is on gold ETFs and the potential bubble they might have been engendering in the yellow metal. An In-depth analysis on the matter has been featured over at SeekingAlpha and it asserts that while the speculative interest in gold has indeed coincided with the advent and growth of the gold ETF industry (and that such interest was not necessarily caused by these ETFs), there is a good chance that said growth pattern has not only supported gold price gains but that it has had a multiplier effect as well.